Merwelands Shipyard has two workshops, both heated/cooled with a heat pump, making sure there is always a comfortable climate. One workshop is used for the construction and maintenance of the ships as well as the construction of several ShoreTension components. In the other workshop the electrical installations are prepared and installed. For specific jobs such as welding aluminium we always have a separate room available. Merwelands Shipyard has a gantry crane with a capacity of 80 tonnes, which can lift ships up to 30 meters in length. 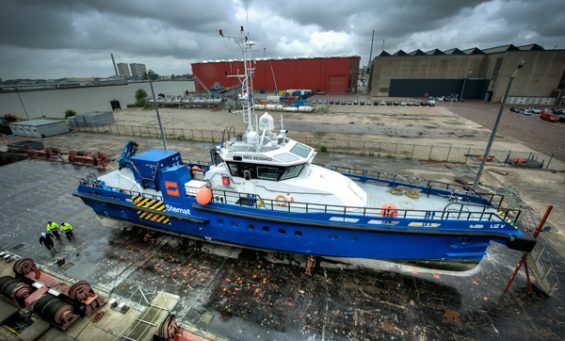 “One-stop-shopping ship yard”, easily accessible, flexible and safe. 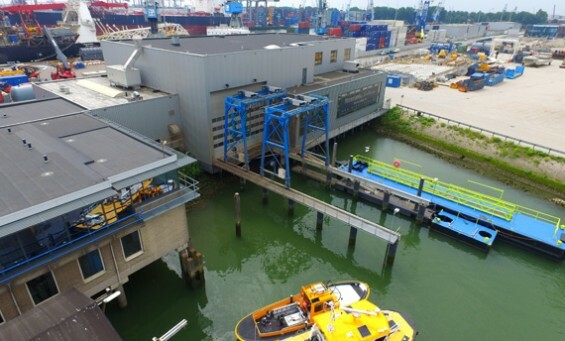 The ship lift on the RDM site, Heijplaat in Rotterdam, facilitates the lifting and dry docking of tugs, multi-cats, swats and yachts up to 3,400 tons, in order to repair and maintain them. 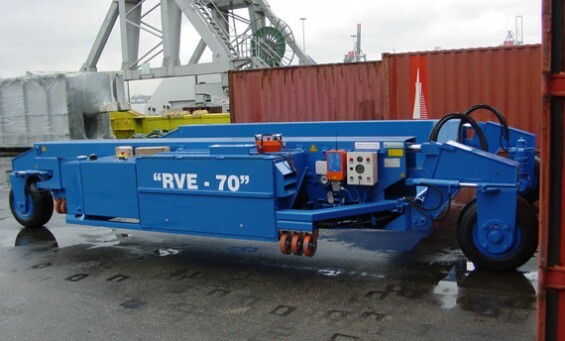 The ship lift is a cooperation between De Haas, Rotterdam and companies liaised to the KRVE. The ship lift was originally meant to lift and dry dock submersibles, but the possibility to dry dock other kinds of vessels already existed. The ship lift is driven by 22 hydraulic winches operated by a centralised computer system in the control box. 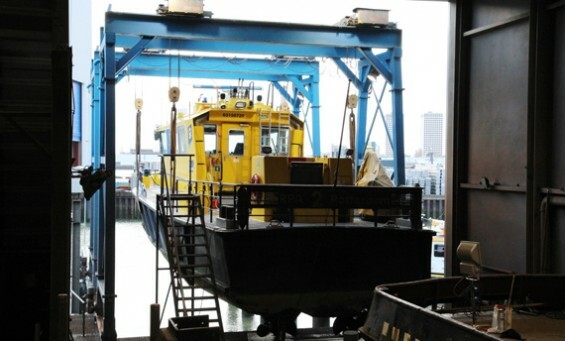 For the navigation in and out of the lift, mooring winches and capstans have been mounted on both sides. The specially designed Multi Vessel Docking System (MVDS) allows for fast and safe dry docking of ships. This unique ship lift has made it possible for us to extend our services. The great advantage of this ship lift is the speed with which it can dock ships. The efficiency and safety, as well as the environmental friendly procedure distinguish us from our competitors. Length: 70 meters with a possibility to expand to 100 meters. At Merwelands we also own a boat trailer which can be driven by one person and is suited for up to 40 tons. It can safely drive the ship to the right spot.